Rushing through breakfast or skimping on your health with vending machine drinks is no way to start out the day or live a healthy lifestyle. Instead, invest in a personal-size blender that makes it easy to have a nutritious beverage on the go. 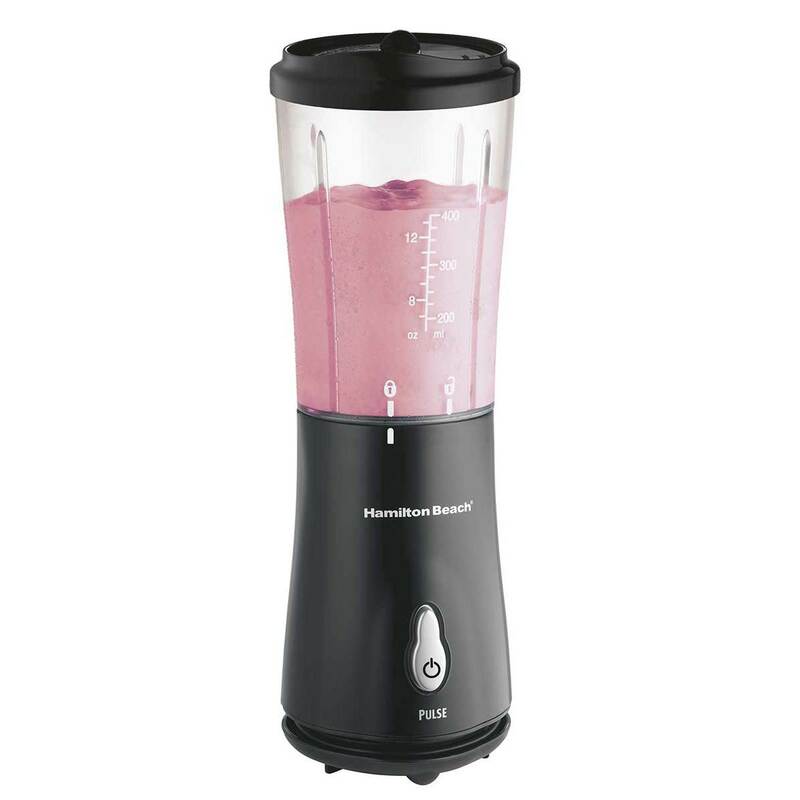 That's right, the Hamilton Beach® Single-Serve Blender delivers all the delicious-tasting flavors of restaurant smoothies and frozen drinks at a fraction of the price. What’s more, this little blender lets you personalize your recipes, perfect your mixology skills and control your portions, all in one. With its durable stainless steel blades and pulse blending action, it’s fully equipped to prepare a variety of great-tasting smoothies, shakes and more. Don't let its space-saving design fool you. The versatile blending container functions as a mixing jar one minute and doubles as a portable travel mug with attachable drinking lid the next. For a lightweight, easy-to-use, inexpensive personal blender, the Hamilton Beach® Single-Serve Blender is well worth the investment. Just imagine all the recipe possibilities, extra storage room and money you're saving. Tired of lugging around extra cups while you're on the go? You're in luck. 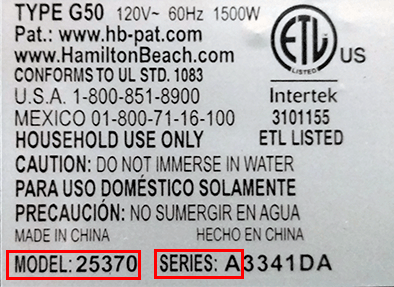 The Hamilton Beach® Single-Serve Blender provides ultimate drink versatility and portability. It serves as a stationary blending jar during blending mode, and a detachable travel mug with lid that lets you drink straight from the jar and fits in most car cup holders. Extremely compact, it’s perfect for traveling with you to work, games or sporting events and it’s ideal for small living spaces. No need to spend extra money on larger blenders with added bells and whistles, when one simple push-button touch will do. With an ON/PULSE button, the Hamilton Beach® Single-Serve Blender allows you to make smooth, evenly blended drinks to your desired consistency and taste every time, no matter which fruits or vegetables you choose to use. With the zillions of smoothie and drink options available today, selecting the ideal blend of nutrition, ingredients and flavor for the perfect-size drink can be a jumbo-size task. Now, you can stop looking and say good riddance to paying too much for smoothies. The Hamilton Beach® Single-Serve Blender delivers the satisfaction of a healthy treat in delicious drink form at no-frills prices. It comes with measuring lines on the front of the jar, which gives you the freedom and flexibility to mix up your ingredients, guess less and blend more. Pour pomegranate juice into blender first; then add remaining ingredients. Pulse and blend away until blended smooth. Serve!